Here's another place to continue our group discussion, since our old thread seems to have reached it's limit. Chat on! JanRN and Givio, your packages were sent out today and you should get them in three days. Thanks SBG, for getting us back on line again here. I have missed our chats. No FW blocks to show this week..until later. Yes, it was traumatic being without our thread! Hope all the gang finds us here. I don't have blocks to show for this week yet, either. Tomorrow night is my charity quilters meeting and I need to get some stuff finished to take with me to donate, so I probably will be late getting my FWS blocks done this week. Honchey, sorry you had a bad experience with the Boom swap. I'm hoping for the best. 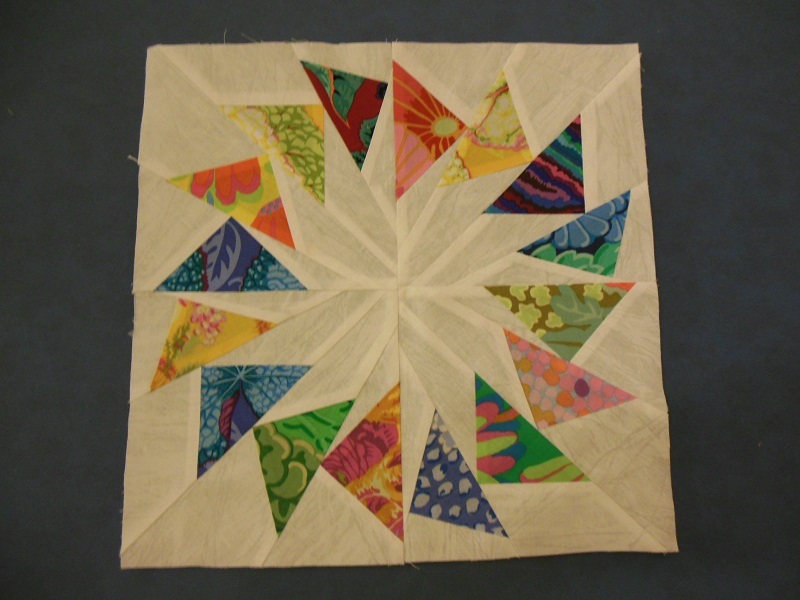 Mainly, I just want to play with making blocks with everyone else's fabrics for them. The fabric I'm sending in is some of the loot I got from Hancock's liquidation. Remember this one? It's block #9, Autumn! Today is so unbearably HOT here... even the dog doesn't want to go out. Thanks SBG....aren't we quite a group? Nice rendition for your swap...I haven't participated in the book swaps...years ago did the doll quilt swap and enjoyed it. Oooh it's so pretty..I think the fabrics have alot to do with it too!.. Everybody, I just got a message from Susan (JuneBillie) that her father died tonight. She asked me to tell you all for her, so I am... I know they have been expecting it, but it's still a shock when it happens and is final. Glad I found yinz. After all the years we've spent together I can't imagine not talking to yinz at least once a week. So sorry for Susan's loss, and as you said it's still difficult even when expected. Let's enjoy today, remember fondly those we've lost, and give thanks and positive thoughts to those we love. I include yinz in my list of blessings. You too, Jan. And glad you found the new thread. Thanks for the link to this new thread. Got to get busy and take photos of my blocks and post. I cannot believe this is almost over! I have so many UFO's to get to work on. Can't wait to finish up some probjects. Ah, Jan changed her avatar pic. Is that a new quilt you made with the license plate on it? I love mine! Thanks, QNS, I appreciate the trade of scraps. SBG, As you know, I got your scraps, thanks again! I'm with Jeannie. 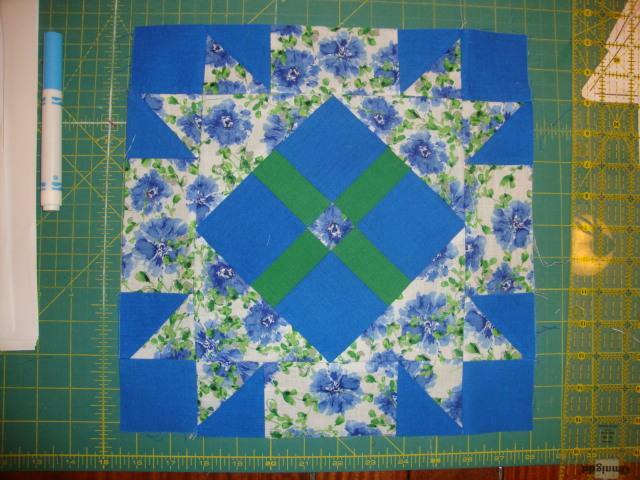 I have some blocks finished that I need to take pictures of and then post-- but looking forward to doing something else. It should be UFO's like Jeannie mentioned... but! I joined a Round Robin. So, I've been posting there in that Forum the last couple of weeks instead of here in the Blocks of Month and Week Forum. Susan, prayers that you will find the comfort you need at this difficult time. So sorry, Susan...you will have some good memories to hold onto. OK, that cow is too darn cute!! Makes me smile. SBG, I made that as a hanging for my front door--my neighbor's check out my door all the time to see what's new. They love this one. Jan, I was dreaming about changing up the hanging on my front door. I've got a full window on it, so it's perfect for hanging something. It's another one of those 'so many ideas, so little time' situations. Gladie, the cow is adorable. Well done! Hope your kids arrived okay. Givio, in order to blow up the templates I had to cut them apart and just do one or two at a time. It took several pieces of paper. Last edited by oksewglad; 08-03-2016 at 05:50 AM. Sounds like a good plan, Honchey. JuneBilly, thinking of you and your loss; celebrate the good memories that you have had with your Dad. OK, love that cute cow. Enjoy the children and hug them countess times a day . Cleaned up lunch,now time to get myself back in the QR. Later. Gladie, do you find yourself talking to the cows, asking them, "How now, brown cow?" 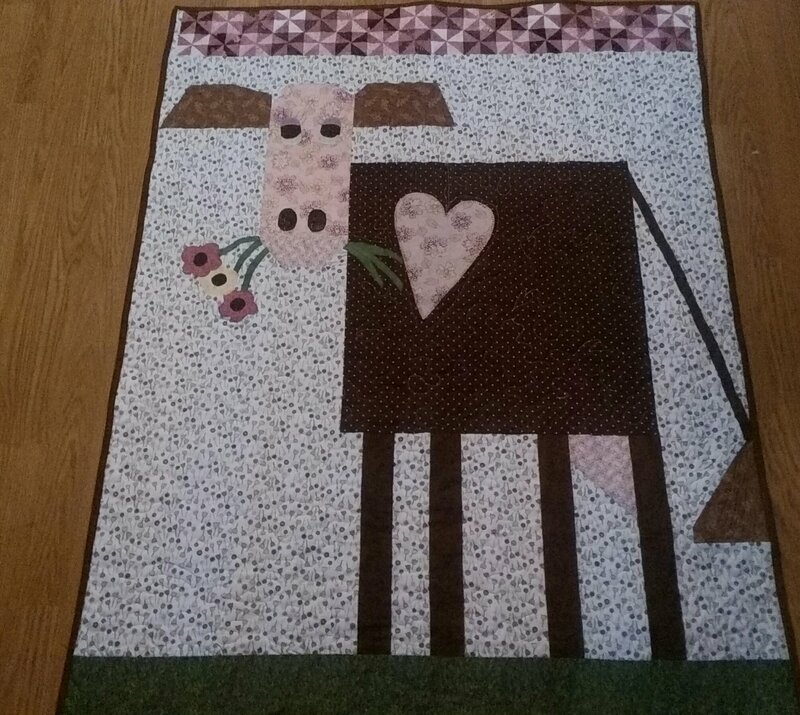 Just fiished this wall hanging top.. It is pp'd and some of the sections just don't fit right even tho it finished correctly..The pattern maker messed up .. It's for the NC Vacation House..I will be big stitching it using floss thread by hand!!! Love the new avatar Jan..
That's some great paper piecing, Honchey! Love that top. Well I found ya'll. I thought I was just having trouble w/the satellite in Brady but when I got here in Midland yesterday it still didn't work. SO....I sent a PM to Honchey & ta-da. I have some good news. The house had actually been on the market for one week. Wait, not even 1 week as that would be tomarrow. Any-way, we got a verbal offer today. I think we are gonna take it! We will probably have to deal w/all of this by e-mail as we are gonna head back to Brady tomarrow. Bev, one week, amazing! It must be a nice place. okSG, I've always preferred the brown cows at the fair. Jersey or Guersey? 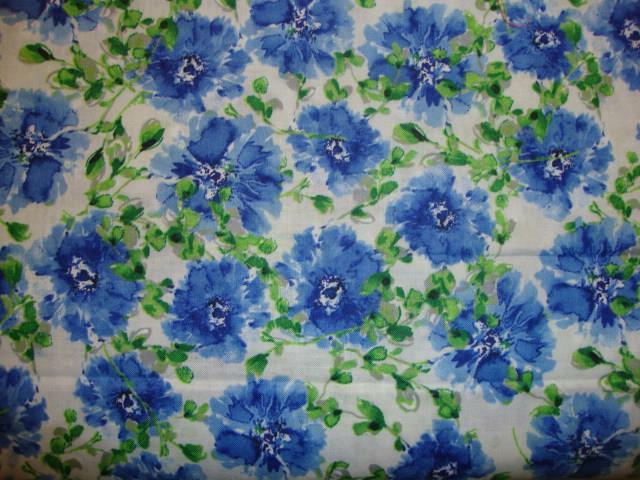 Honchey, looks like Kaffe Fasset fabric. Love those prints.